Let’s not beat around the bush here. It’s bloody hot. And summer has only just started! With the excess sweat and stickiness, the scary realisation that Christmas is almost here and the extra stress that comes with end of year preparations, it’s understandable that parents have a lot on their plates. But, for thousands of Aussie parents, this extra stress is having an incredibly dangerous and potentially deadly effect. Children, including infants, are being trapped in hot cars at an alarming rate across the country. Just last week on the Gold Coast, RACQ rescued four children from hot cars, including a baby. 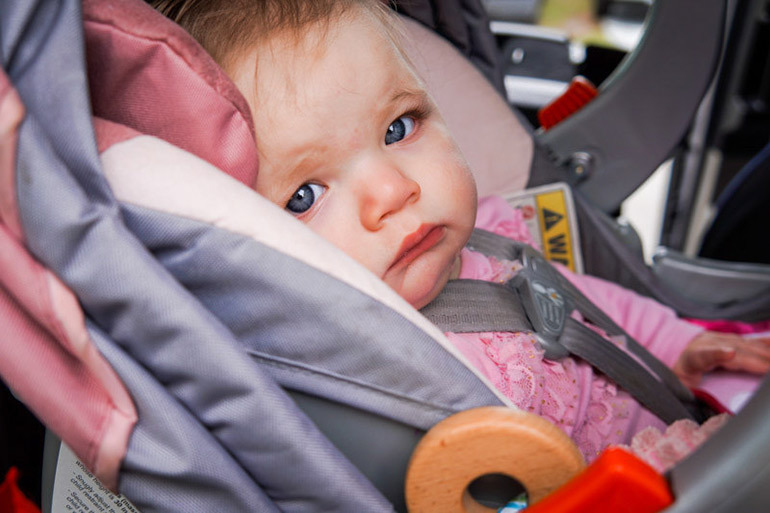 Last year RACQ attended close to 1,200 call outs from Queensland to free children from hot, unattended cars. And this is just in ONE state! Sometimes the parents accidentally lock the door before getting their child out. Sometimes they forget the child is in the back. Sometimes the kids hide, with devastating results. And sometimes the kids play with the keys and do the locking themselves. But, whatever the reason, we all need to take the time to ensure that this type of thing doesn’t happen to you or your child, especially with the Bureau of Meteorology predicting above-average temperatures throughout the summer. Yes, dragging the kids out of the car to fuel up, to buy supplies or to run in and grab the mail is annoying. But, it needs to be done. Even if it’s just for a few minutes, we should never leave them alone. 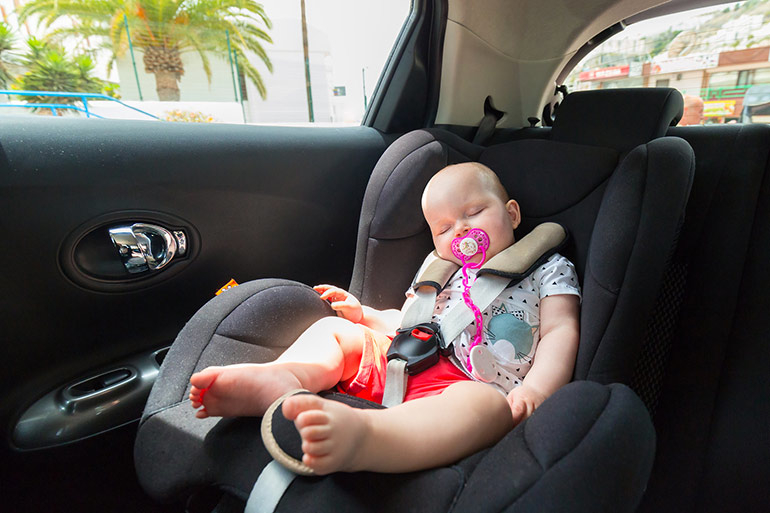 Parents and carers can face up to three years imprisonment in some states for leaving a child under the age of 12 unattended in a vehicle. “Not only is there a penalty involved, more importantly it can seriously impact the health of your child, with temperatures inside a car near doubling the temperature on the outside,” explains Jeremy Tassone, GM Holden’s Vehicle Development Manager. Many newer car models have this, including makes from Holden and Hyundai. It works by monitoring the vehicle’s rear doors and sending an alarm to help remind drivers of the back seat passengers. Sure, it’s an easy way to shut them up for a second but letting the kids play with your car keys can result in them accidentally pressing the wrong button and locking themselves in. Or choose a special area to stash your keys when out and about and avoid accidentally misplacing them or leaving them on the front seat. This can ensure you always do a double take when getting out of the car. Why? Because kids are curious creatures and a car could prove to be the perfect hiding spot. “The trouble is if they manage to lock themselves in or happen to play with some of the buttons while they’re in there,” Jeremy said. This is an app that can send you a text to alert you that your child is still in the back seat. Burning seatbelts are a nightmare. Before you buckle up, make sure the belt isn’t going to burn your child. Keep a spray bottle of water in the car. “The water doesn’t even have to be cool,” Jeremy explains. “The evaporation will cool down the plastic and metal quickly, making for a journey free of pain.” Wind your windows down before you get in the car which can also cool things down. This reduces the panic that sets in when you arrive at your destination and are attempting to get out of the car at record pace, absentmindedly forgetting to check the precious cargo in the back. It happens. More often than you may think. Every year thousands of children (and pets) are being locked in hot cars, leaving parents distressed and children in serious danger. Even a few minutes in a hot car can be potentially deadly. A Queensland Ambulance Service spokesman said inside a vehicle could easily be up to 30C hotter than the actual temperature, with children at most risk of serious injury or death. The RACV’s Melinda Spiteri explains, “Younger children are more sensitive to heat compared to older children and adults as their body temperature rises up to five times faster than an older child’s. For more tips on car safety in the heat, see our article on heatwave safety warnings.